Meet the presenters and join your peers Friday Night, February 15th at the Welcome Reception. Education Day is 8-5. Important Information Shops Will Get No Where Else. 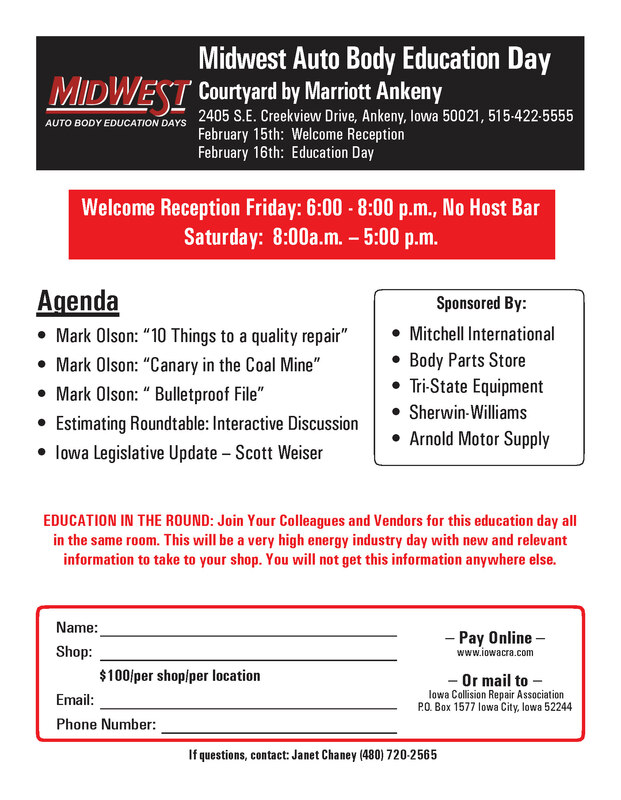 Key Note Presenter Mark Olson: Canary In The Coal Mine, 10 Things To A Quality Repair, Bulletproof Documentation: 2019 I-CAR Update, Regional Manager, Dave Robinette, Iowa Collision Repair Association Lobbyist, Scott Weiser and Iowa Senator Brad Zaun introduces new collision repair legislation in Iowa.